Can Barack Obama Help Blacks in Brazil? 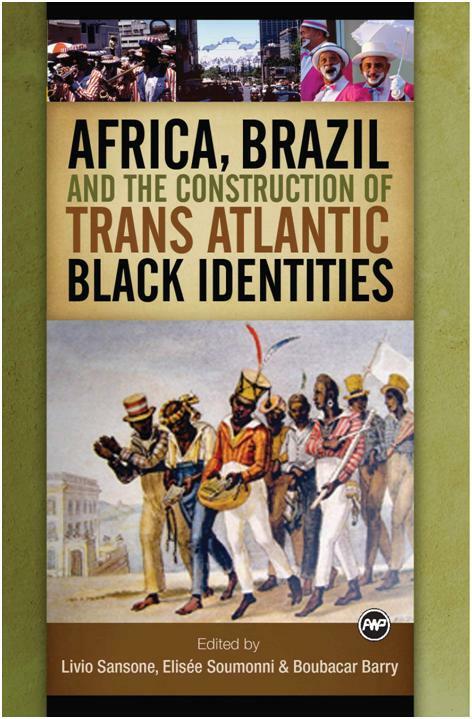 Globalpost.com has a wonderful piece on Blacks in Brazil, racism and the Barack Obama effect. As much as black people, regardless of continent of birth or native language, choose to deny their blackness. They are who they are and nothing will change that. The after effects of white supremacy in a country of which the majority of people are actually people of color yet most do not identify as black is worthy of discussion, analysis and change. Official name: República Federativa do Brasil (Federative Republic of Brazil). Form of government: multiparty federal republic with 2 legislative houses (Senate ; Chamber of Deputies ). Chief of state and government: President. Population projection: (2000) 165,561,000; (2010) 181,918,000. Natural increase rate per 1,000 population (1996): 11.6 (world avg. 15.7). Gross national product (1996): U.S.$709,591,000,000 (U.S.$4,400 per capita). Land use (1994): forested 57.7%; meadows and pastures 21.9%; agricultural and under permanent cultivation 6.0%; other 14.4%. 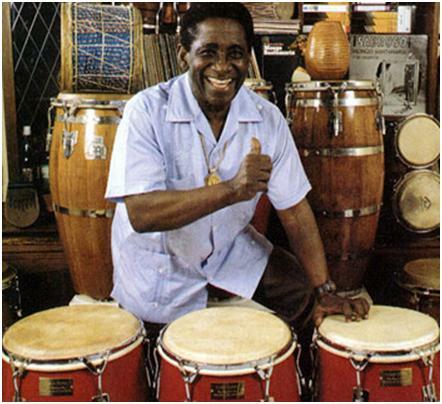 Ramon "Mongo" Sanatamaria was one of the greatest percussionists of our time. I met him through a mutual friend during the mid-1980's and at the time did not know what a legend he was in jazz, especially Latin jazz. You may already know his sound from jazz classics such as Watermelon Man and Afro Blue. As a child, there was always music in my home. My mother taught dance: modern; jazz and African, so there was music. While there were different types of music my Dad preferred jazz. So, without really knowing who the people were, I loved looking at the album covers of and listening to Sarah Vaughn, John Coltrane, Miles Davis, Charlie Parker, Lionel Hampton and other well-known musicians. Although I recall hearing various rhythms as a child, Santamaria was my introduction to Latin jazz. I think I am naturally drawn to the beat of the drums but whatever the reason, I came to enjoy the works of other Afro-Cuban artists such as Celia Cruz, La Lupe and Candido Camero. Mr. Santamaria was kind, humble and unassuming during the few times I was in his company. I was amazed by his passion and energy when he played congas. He transitioned from this world on February 1, 20003 at Baptist Hospital in Miami. You'll find his biography in many places throughout the internet but I find the bio by Richard Ginnell most extensive and well-written. Here's a video of Santamaria with Ray Barretto. A New York couple is suing a fertility clinic because of a sperm mix-up. Their youngest daughter is not the offspring of the husband. She is noticeably darker than the rest of the family. I’ve read of several problems with fertility clinics recently from sperm samples being lost to some discarded in error. The desire for a child is a serious matter. I don’t trivialize it but take a look at another issue regarding this latest family. The couple claims to be white although the mother is from the Dominican Republic. It seems as though this might be a major problem for this entire family. Although they proclaim their love for the child, there is an obvious denial that the mother is Black. I know a lot of Dominicans. I don’t know one that I would consider white. Black is a color not an origin. Get over it. Denying your Blackness doesn’t change who you really are. How mentally healthy is that home environment for this young child? 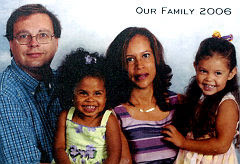 Just looking at the photo of the family, it’s clear that the mother is not white. She says she is but she is not.The child needs to be taught to be proud of her Blackness and so does the mother. That’s the way I see it.